DQ Entertainment International (DQE), the global entertainment group, is pleased to announce three new contract wins, associated with two new productions, concluded at MIPTV in Cannes, France – the world market for TV & Media. TF1, the French broadcaster has joined hands with Method Animation and DQE in a recently concluded deal to co-produce the Robin Hood TV series. TF1 will hold the broadcast rights for the Robin Hood series for France and French speaking territories. The Company has also signed a co- production agreement with Minika TV, ATV’s new Turkish kid’s network. Mahmut Ipsirli,General Manager Minika-Kids Network said “Partnering with DQ Entertainment and Method Animation for the title of Robin Hood along with Peter Pan is part of our strategy to be the leading kids network in the region. We believe that they are the ideal partners to fulfil our strategy. DQE has entered into a co-production agreement with Gaumont Alphanim (“Alphanim”), France, the principal rights holders for the new 3D animated CGI TV series “Lanfeust”. Alphanim has acquired the rights for “Lanfeust of Troy” a long running French language comic series written by Christophe Arleston, drawn by Didier Tarquin, and published by Editions Delcourt. Alphanim is producing the series and will handle all of the creative aspects. 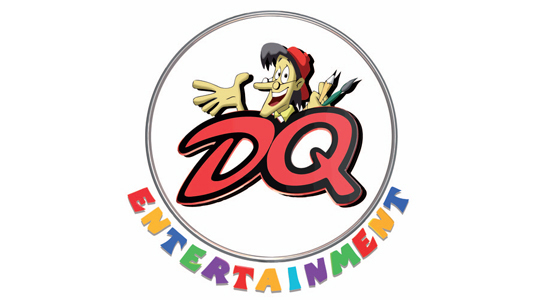 As co-producer, DQE will be responsible for animation production. The global territories, including France and other French speaking territories and backend revenues from all sources of income will be shared between Alphanim and DQE. M6 and Canalj are the French broadcasters backing the series. Tapaas Chakravarti, Chairman and CEO of DQ Entertainment said: “These agreements will help us expand our content library which has exciting commercial opportunities globally, whilst embarking on new and exciting ventures with highly acclaimed partners. DQE is one of the leading producers of animation, visual effects, game art and live action entertainment content for the global media and entertainment industry. With a workforce of approximately 3,200 employees and a global client – partner base of over 100 producers, distributors, broadcasters and licensors, including Walt Disney Group, Universal Pictures, Nickelodeon Animation Studios Inc., Electronic Arts, Marvel Comics, American Greetings, the BBC, M6 / France TV Group / TF-1, all leading broadcasting and distribution groups from France, ZDF TV and ZDF Enterprises, a leading pubcaster and distributor from Germany, ABC Australia, Al Jazeera – Arabic nations, Disney Channels – Asia, Cartoon Network Group and many more worldwide. DQE has received over 35 awards including an EMMY, at several national and international forums recognising creativity and excellence. Among these are the E&Y Entrepreneur of the Year Award, The UK Broadcast Award 2010, Sichuan TV Festival International “Gold Panda” Award, 11 Emmy nominations and an Emmy Award administered by the National Academy of Television Arts & Sciences , USA for ‘Tutenstein’ animated TV series. The Jungle Book produced by DQE was nominated in 5 categories at the Cartoons on the bay – Pulcinella awards Italy in 2011. DQ entertainment an industry leader is contributing an amazing amount of 3D content for the global entertainment market.